Canadians are inviting the four West Coast US states that voted for Hillary Clinton to secede to their country. 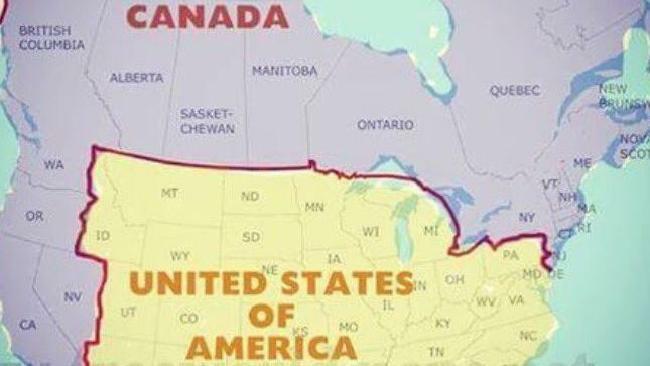 Mocked-up maps of what Canada would look like, if its borders extended from the Antarctica down to Mexico, have been widely shared online in the aftermath of Donald Trump's election victory. A British Columbia reporter has become the latest Canadian to kindly extend an invitation to California, Oregon, Washington and Nevada. "I'm sure we can work something out if you want to join Canada," tweeted Chad Harris, a reporter from Kamloops. "To the west coast of the United States, if you want to you can all become Canadaian Provinces, since you voted closer to the experiences we have as Canadian." Campaigners are already fighting for California's independence and a "Calexit" referendum, initially inspired by Catalonia independence attempts, to be held in 2019. More than 60 per cent of voters opted for Hillary Clinton in The Golden State - the election's bluest patch. The Yes California Independence Campaign says: On issues ranging from peace and security to natural resources and the environment, it has become increasingly true that California would be better off as an independent country." Douglas Cole from Beaverton, Oregon, wrote an ironic open letter on the subject to Canada, asking: "Just please take us. Pretty please?" The Independent has contacted the office of Prime Minister Justin Trudeau and the Liberal Party of Canada for comment.